A small device that contains human cells in a 3D matrix represents a giant leap in the ability of scientists to test how those cells respond to stresses, drugs and genetic changes. About the size of a thumb drive, the devices are known as tissue chips or organs on chips. A series of investigations to test tissue chips in microgravity aboard the International Space Station is planned through a collaboration between the National Center for Advancing Translational Sciences (NCATS) at the National Institutes for Health (NIH) and the Center for the Advancement of Science in Space (CASIS) in partnership with NASA. The Tissue Chips in Space initiative seeks to better understand the role of microgravity on human health and disease and to translate that understanding to improved human health on Earth. Many of the changes in the human body caused by microgravity resemble the onset and progression of diseases associated with aging on Earth, such as bone and muscle loss. But the space-related changes occur much faster. That means scientists may be able to use tissue chips in space to model changes that might take months or years to happen on Earth. “Tissue chips give cells a home away from home,” Warren said. They mimic the complex biological functions of specific organs better than a standard, 2D cell culture. One potential application of tissue chips is in development of new drugs. Approximately 30 percent of promising medications are found to be toxic in human clinical trials despite favorable pre-clinical studies in animal models. About 60 percent of potential drug candidates fail due to lack of efficacy, meaning the drug does not have the intended effect on a person. “There is a need in the drug development process to have better models to predict responses of the human body and to gauge toxicity much earlier in the process, as well as to check that a potential drug actually does what it’s supposed to without adverse side effects,” Low said. As accurate models of the structure and function of human organs, such as the lung, liver and heart, tissue chips provide researchers a model for predicting whether a candidate drug, vaccine or biologic agent is safe in humans more quickly and effectively than current methods. 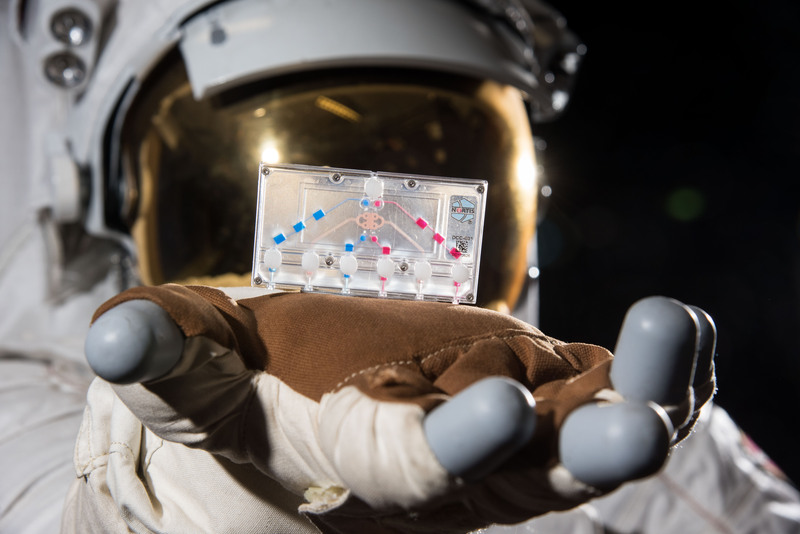 Tissue Chips in Space builds on microfluidics knowledge gained in previous space station investigations, Warren said, but also required creating new, as yet untested, hardware and systems. For one thing, the system had to be automated as much as possible. “We wanted to simplify everything for spaceflight, so astronauts essentially just have to plug in a box on the space station, without doing anything hands-on with syringes or fluids,” she said. Engineers also had to miniaturize complex, large equipment used to maintain proper environmental conditions for the chips. That hardware, the size of a refrigerator in laboratories on Earth, takes up about as much room as a shoebox in space. The microfluidics presented unique challenges, such as dealing with formation of bubbles. On Earth, bubbles float to the top of a fluid and escape, but special mechanisms are needed to remove them in microgravity. 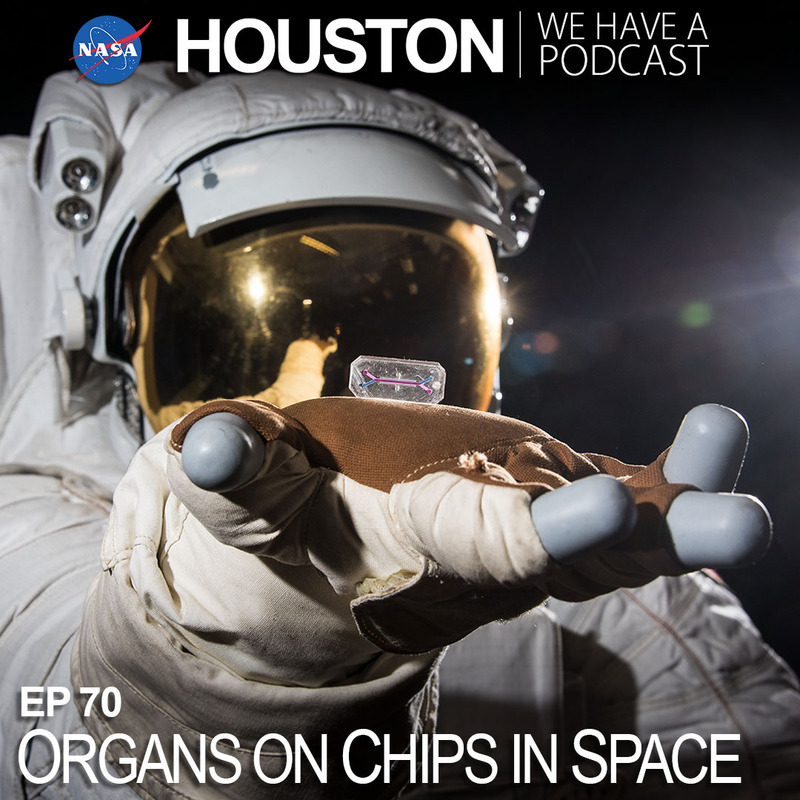 The automation and miniaturization accomplished for Tissues Chips in Space contributes to standardization of tissue chip technology, which advances research on Earth as well. “Now we have a tool that can be sent anywhere on the planet,” Low said. On Earth, scientists are working on linking several organ chips together to mimic the whole body. That could enable precision medicine, or customized disease treatments and prevention that take into account an individual’s genes, environment and body. This first phase of Tissue Chips in Space includes five investigations. An investigation of immune system aging is planned for launch on the SpaceX CRS-16 flight, scheduled for mid-November. The other four, scheduled to launch on SpaceX CRS-17 or subsequent flights, include lung host defense, the blood-brain barrier, musculoskeletal disease and kidney function. These first flights test the effects of microgravity on the tissue chips and demonstrate the capability of the automated system. All five investigations make a second flight about 18 months later to further demonstrate functional use of the model, such as testing potential drugs on the particular organs. In addition, four more projects are scheduled for launch in summer 2020, including two on engineered heart tissue to understand cardiovascular health, one on muscle wasting and another on gut inflammation. Ultimately, Warren said, the technology could allow astronauts going into space to take along personalized chips that could be used to monitor changes in their bodies and to test possible countermeasures and therapies. That would be a really big leap toward keeping astronauts healthy on missions to deep space. Made of flexible plastic, tissue chips have ports and channels to provide nutrients and oxygen to the cells inside them. 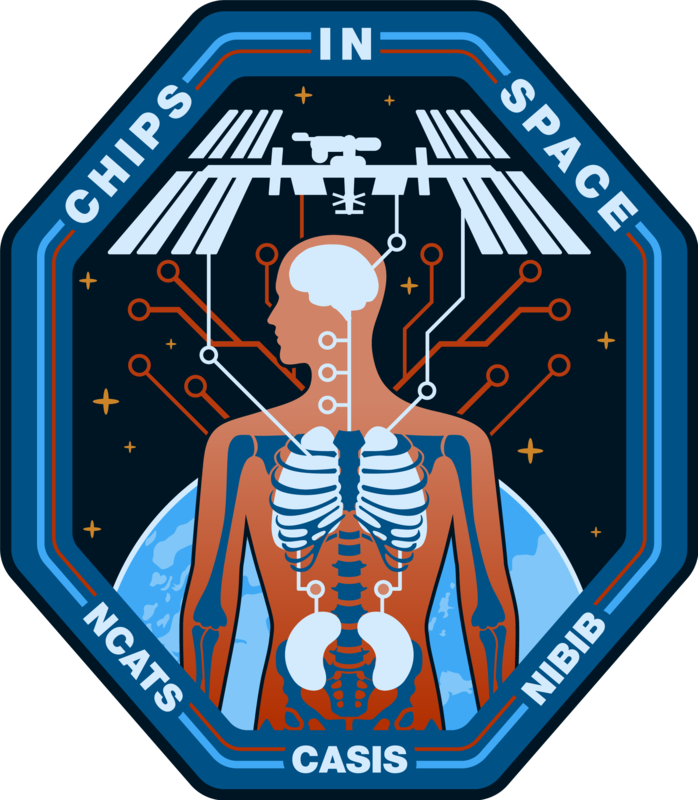 The insignia representing the collaboration between CASIS and NIH (NCATS and NIBIB) for the Tissue Chips in Space investigations to the International Space Station National Laboratory.